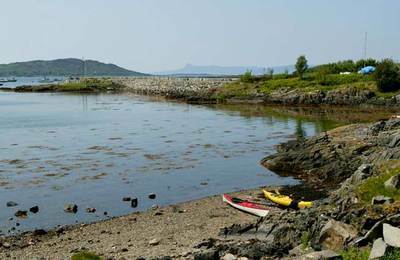 This page provides information about where to sea-kayak around the shores of Fort William and Lochaber. 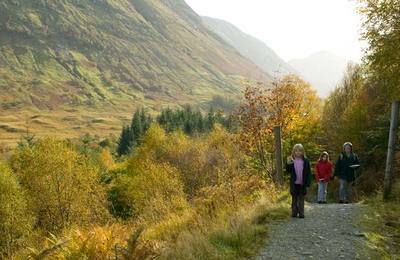 It’s time to get afloat and experience the world class West Coast of Scotland. 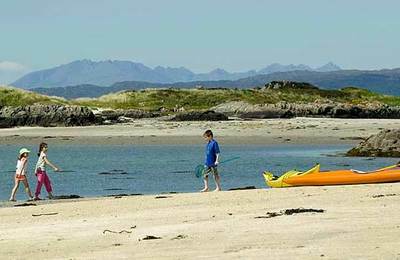 Lochaber's west Highland coastline is blessed with a great diversity of paddling areas, which will keep the excited beginner to seasoned sea kayaker happy and content - sandy beaches, sea cliffs, mystical isles, remote sea lochs and scenic mountain backdrops. 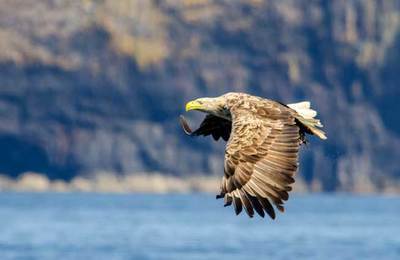 Sea kayaking is the way to get away from the crowds and offers the opportunity to see Lochaber’s wildlife up close – seals, porpoises, sea eagles, otters, oyster catchers and much more. Sea kayaking is a special kind of freedom, away from it all, and one that you can experience in Lochaber - the Outdoor Capital of the UK. 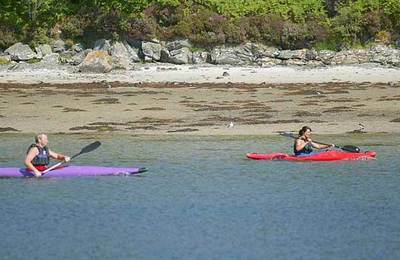 Loch Linnhe – Offers a variety of sea kayaking opportunities. There is a tide race at the Corran Narrows, where the ferry crosses to Ardgour and Ardnamurchan, and at the North end of Lismore, there is a proper Highland Castle which you can paddle under - Castle Stalker. Loch Leven – Stunning backdrop of Glencoe’s mighty mountains and the burial isles of the Macdonalds who were slaughtered in the famous Glencoe massacre after the Jacobite uprising. For kayakers wishing to use the tides to their favour, the tide flows quickly under the Ballachulish road bridge leading them out to Loch Linnhe. 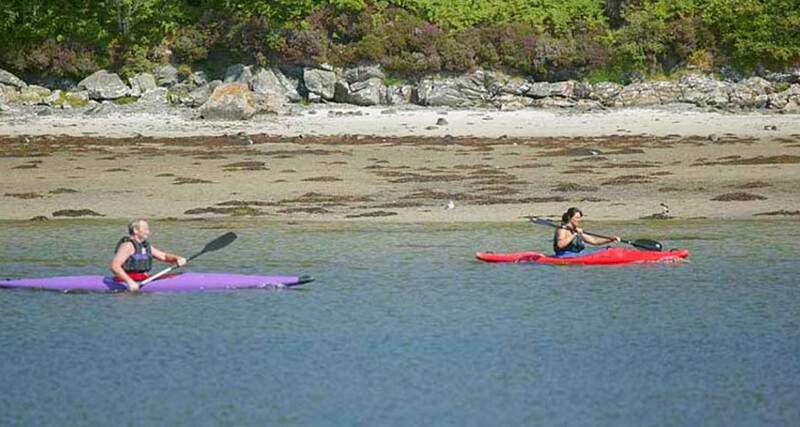 Lochaber offers a wide selection of sea kayaking trips for kayakers of all abilities to undertake in all but the most extreme weather and tidal conditions. Sea kayakers getting afloat in Lochaber should be properly equipped, well trained and know what their limits are in terms of ability and experience. The sea does not do ‘forgiveness’ and is pretty cold all year round (8 – 12c)! Good modern kayaking clothing means there is no excuse to be cold, damp and miserable though. Local guiding is available for those wishing to experience it and coaching is also available for those wishing to learn how to sea kayak for themselves or to improve their skills / knowledge. If you'd like to try sea kayaking, check out the local suppliers in the A-Z directory.